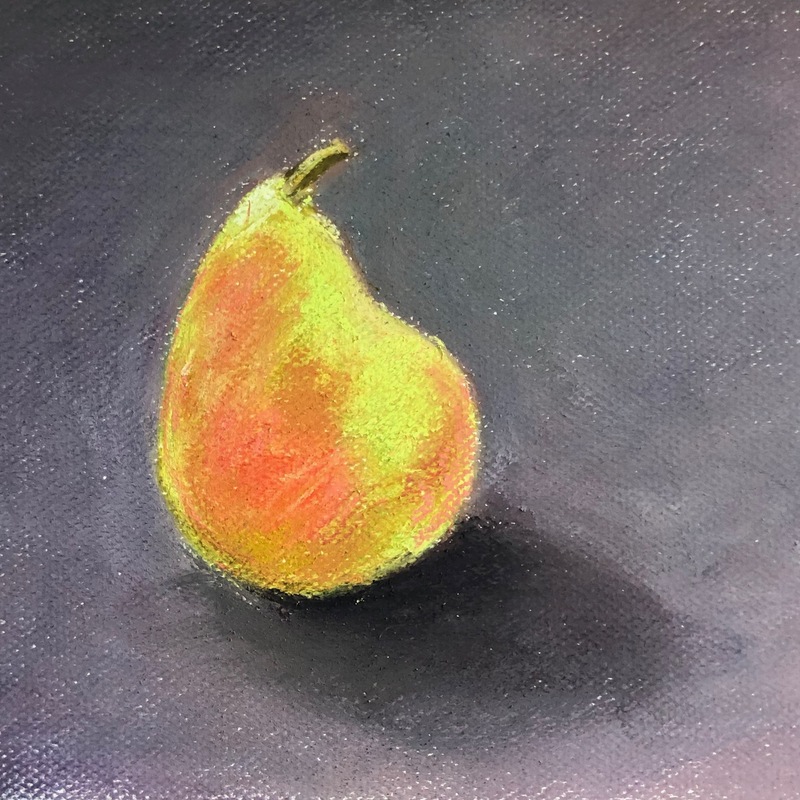 A wandering illustrator with a few sketchbooks... and recently created pastels, oils and watercolors. They are our comfort food. They looked like candy. What a peculiar idea! 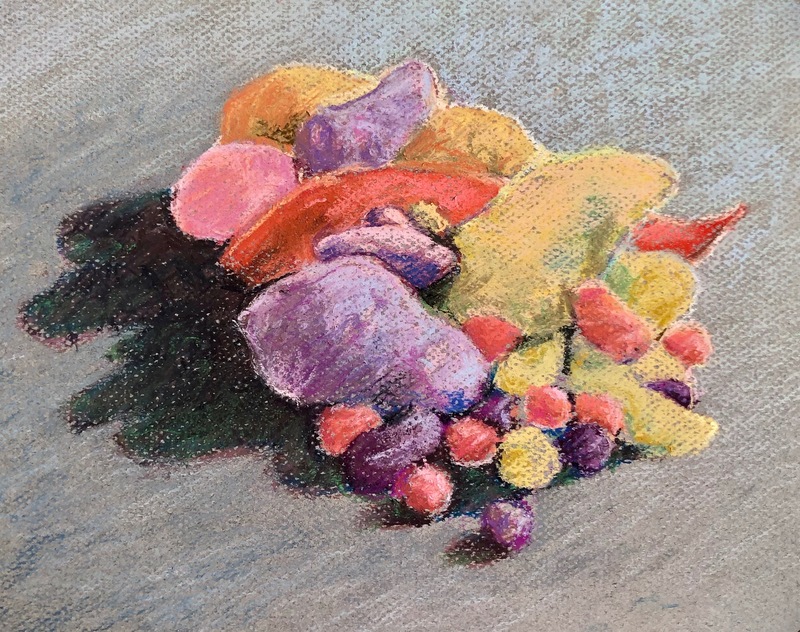 The day I bought the potatoes, just a few of the over 100 varieties, I saw the colors and was happy to plop them down on my wooden chest for a pastel sketch. As I worked they looked more delicious as time passed. The varied colors and diverse sizes were an indication of how we can become enthralled with them. Eating these colorful and nutritious tubers offer vitamins galore along with a satisfying feeling of having something filling and tasty to eat. An excellent source of vitamin C and B6 along with more potassium than a banana. They are fat, sodium and cholesterol free. So they must be healthful! Just don’t cook them in grease or put fatty and salty things on them. No milk or butter. That is what does the damage to our bodies. Remember, the fat you eat is the fat you wear. So true for me as I got older and had no idea that is what was happening. I loved eating potatoes with meat with fat rippled through it, loved dipping my bread in the gravy under a roast and eating chicken which has a huge quantity of fat in it. Meat and potatoes had become a standard concept. Over the years, I had misconstrued ideas about “protein” which I considered meat to be. Ideas that dairy and meat were good for me and I needed to eat it with my fruits and vegetables. It is what I heard in the news. When I started having high blood pressure, a doctor never asked what I ate. I was only told that I should take a pill to lower my blood pressure. HUH?! Why would I be told that? Oh, the pharmaceutical lobbies wanted me to take a pill for the rest of my life so they could make money on my ignorance about high blood pressure. Guess what… A lifestyle change and potatoes are really good at lowering high blood pressure and much less expensive. Disclaimer: Remember, if you are on blood pressure medicine, the change in diet is not a quick fix. So check with your doctor first. Just having read the book Proteinaholic * by Garth Davis, M.D., I realized that I didn’t have the correct idea about protein. Actually, no one in the USA who has enough food is protein deficient. 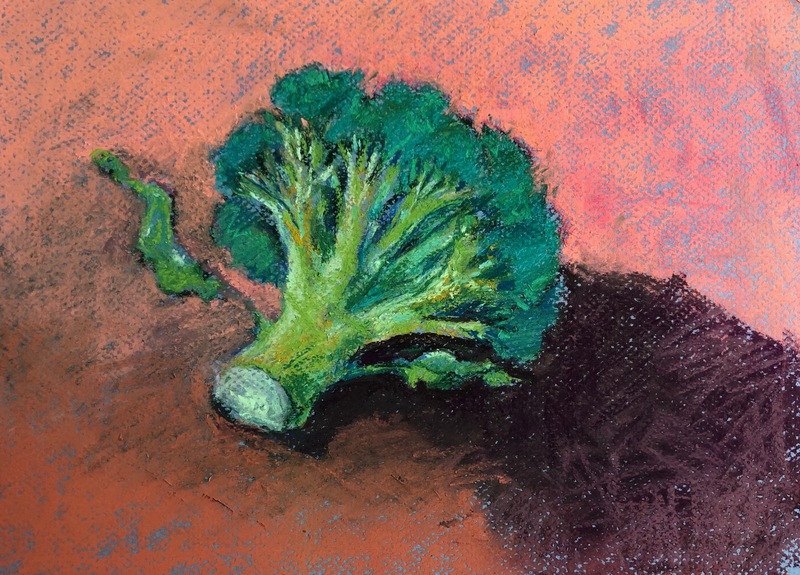 There is protein in broccoli and other vegetables, potatoes, quinoa, brown rice, kasha, millet, all colors of beans, legumes, nuts, seeds and fruit. So I no longer need meat or dairy (a subject for another day). I have plenty of protein in my plant foods. So back to my healthful potatoes… I love them baked with broccoli on top, covered with vegetable chili or mashed with mushroom gravy. What I also like to do is to just have them plain. I bake them so I might be able to grab one to eat as a snack when I’m hungry. Microwaving them takes just a few minutes depending on size. When I boil them, they are easy to use in other recipes such as adding them to salads to give a satiating component. What will you do you with your next potatoes? Draw them, bake them, boil them or throw them in a soup? Whatever… enjoy them! During a cold and frosty winter, a brilliant color that evokes the warmth and freshness of summer or a trip to Florida or California. Peeling an orange makes my fingers juicy and sticky just to separate the sections to pop into my mouth. A big squirt of orange juice is a delightful way to add in some Vitamin C which can lessen the chance of getting sick. It is one of the most delicious fruits. Just don’t try to eat one while you’re on a computer, iPad or iPhone! 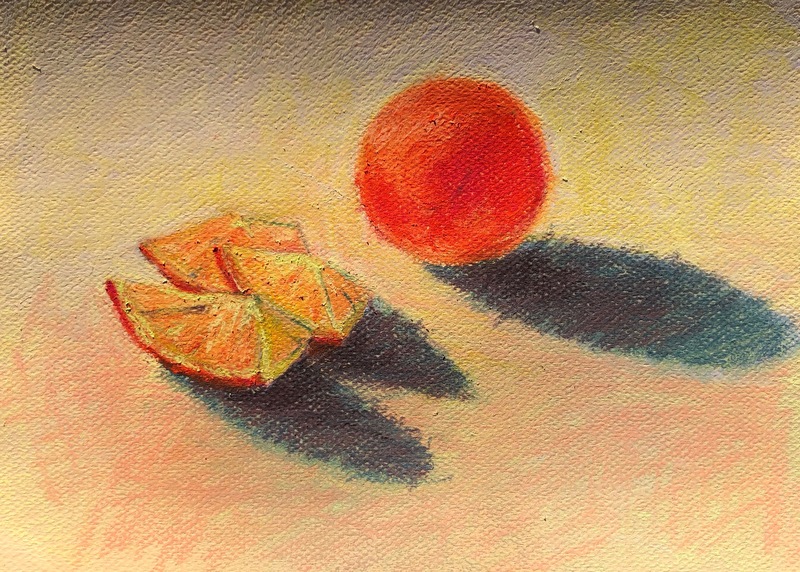 Dr. Michael Greger discusses the value of apples and oranges in this short video. So going to the market, I’ll choose a variety fruits and vegetables. It’s funny that I write about something that we have known about for years, eat fresh fruits and vegetables. Skip the processed and fast food that has snuck in to our pantries and way of thinking. Factories have created processed food that appeals to our senses of salty, sweet, buttery. Or should I say SOS (sugar, oil, salt) which I now consider dangerous to my health. 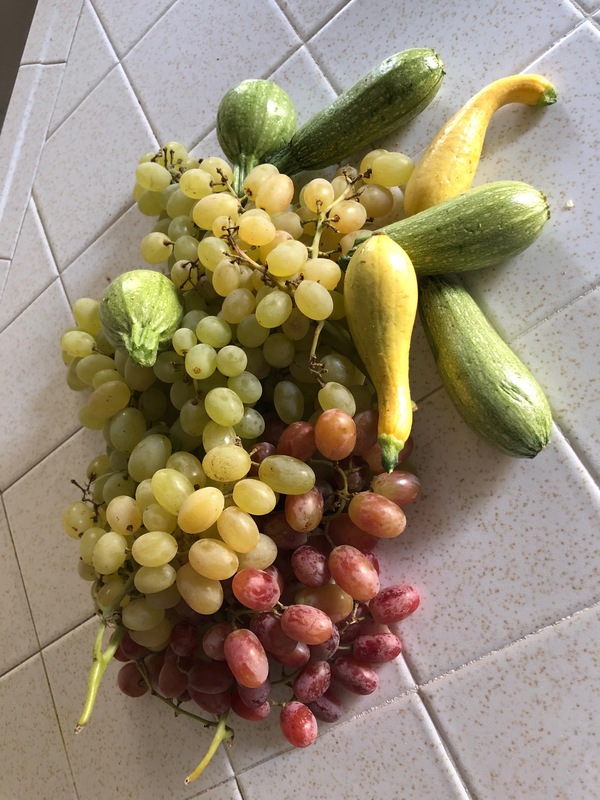 Now, I’m leaning towards more fresh fruits and vegetables since there is less work. Then it’s not hard to cook a few grains (rice, potatoes, quinoa, millet or kasha) to put my vegetables on! 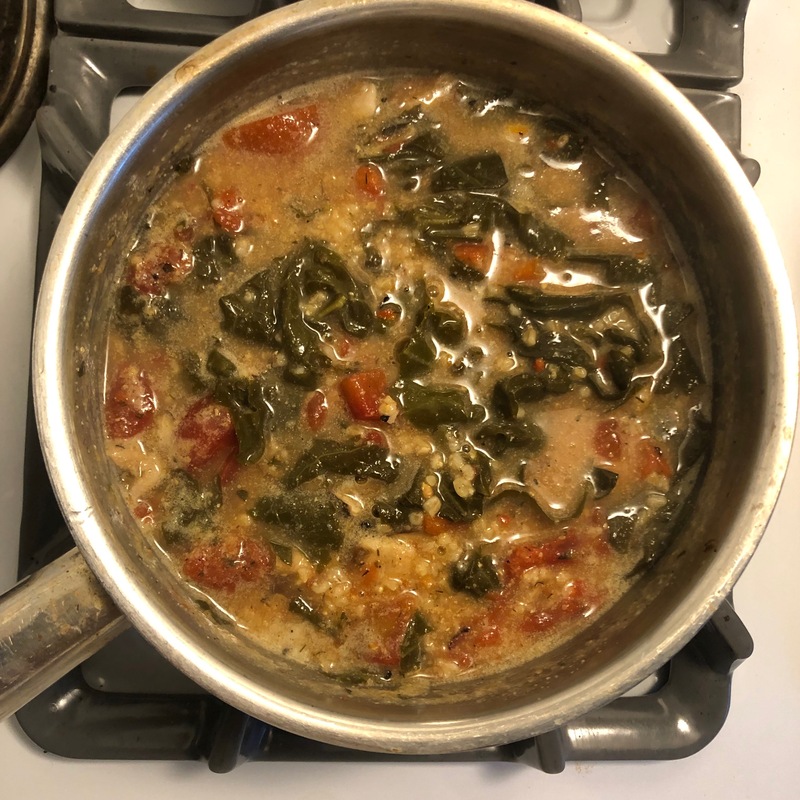 A pot of beans soaked overnight then cooked in my Instant Pot makes a super addition to my meal. The excess I freeze in pint jars to save for later. Canned beans or chickpeas are fine too, if you rinse off the excess of salt. If you read to the end, you’ll find a treat from a friend. Actually, there are special treats all through my post. Just click on the links. In addition to this post, go to my website and sign in to “FOLLOW” my websites for “Art and Healthy Groundwork” for the most recent posts. Try clicking on the page “Healthy Groundwork” to see an introduction to my ideas and a bit about “me” on this path. Today, I was craving something hearty for breakfast because of the cool weather and something good for my heart. 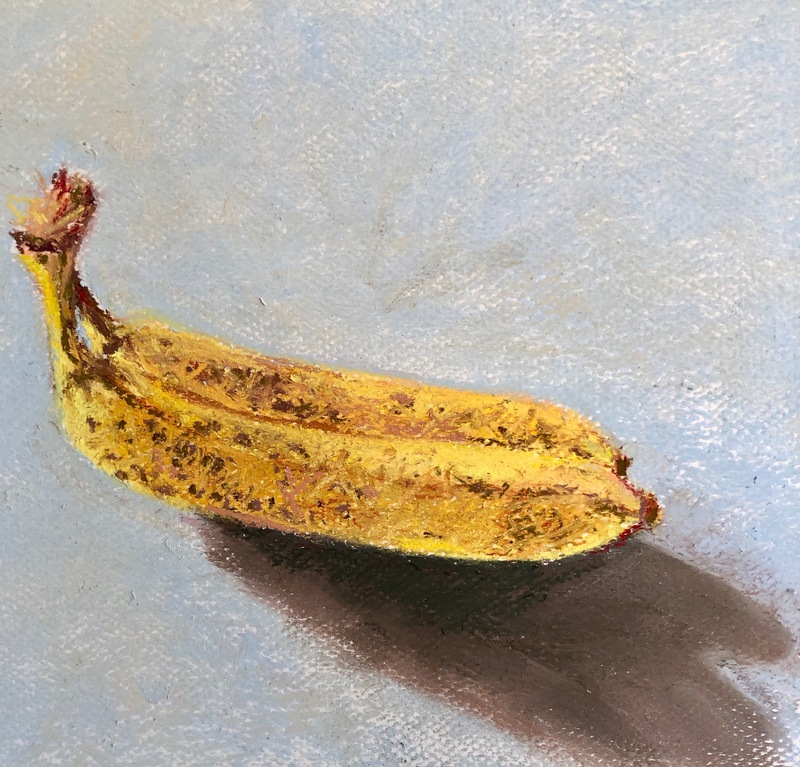 Just look at how wonderful a banana can be when you draw it or hold it ready to peel and cook with it. 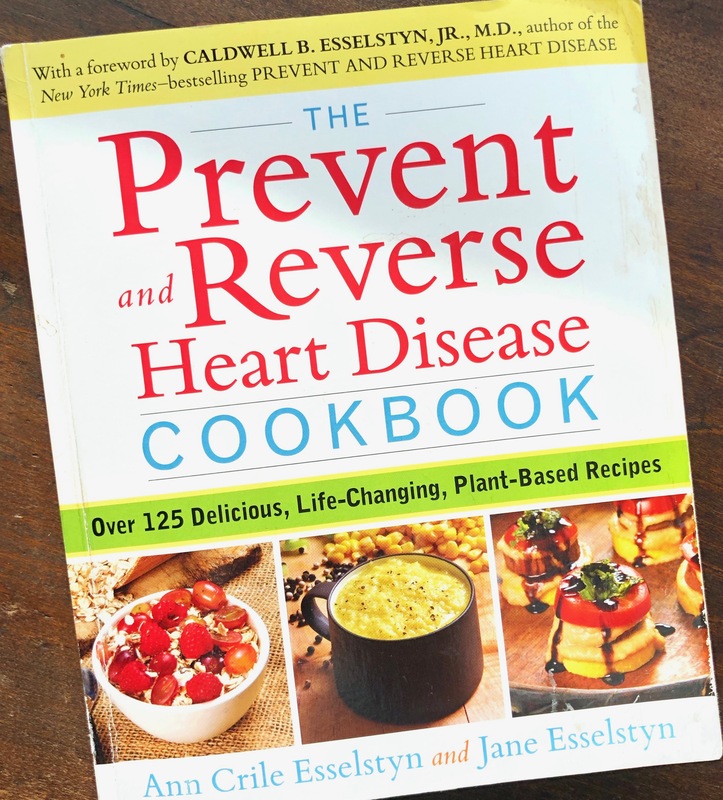 So here is the Prevent and Reverse Heat Disease cookbook and YouTube demonstration by Ann and Jane Esselstyn that shows you how easy heart health can be. The video is the most entertaining! I loved it when I saw it. They make the Banana Steel Cut Oats and Savory Smoky Oats recipes found on pages 44 and 54. You can guess which might be my favorite. I make oat waffles some days, too. If only my Mother had known about these recipes, she would have had great fun making them. 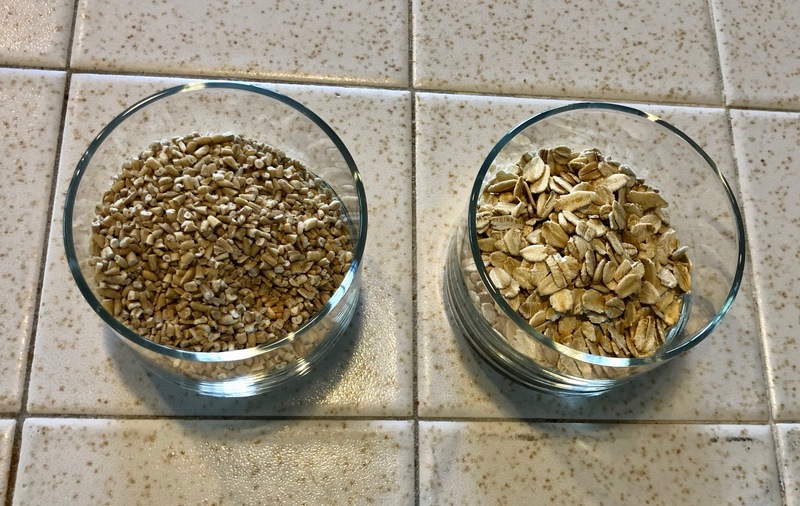 When I want to search something like “oats,” I go to Dr. Michael Greger at nutritionfacts.org and find all sorts of information. He is my best source of peer-reviewed research, so it’s going to be accurate. I frequently dig into the sequential posts he produces. It confirms that I am on the correct path to learning more valuable information. 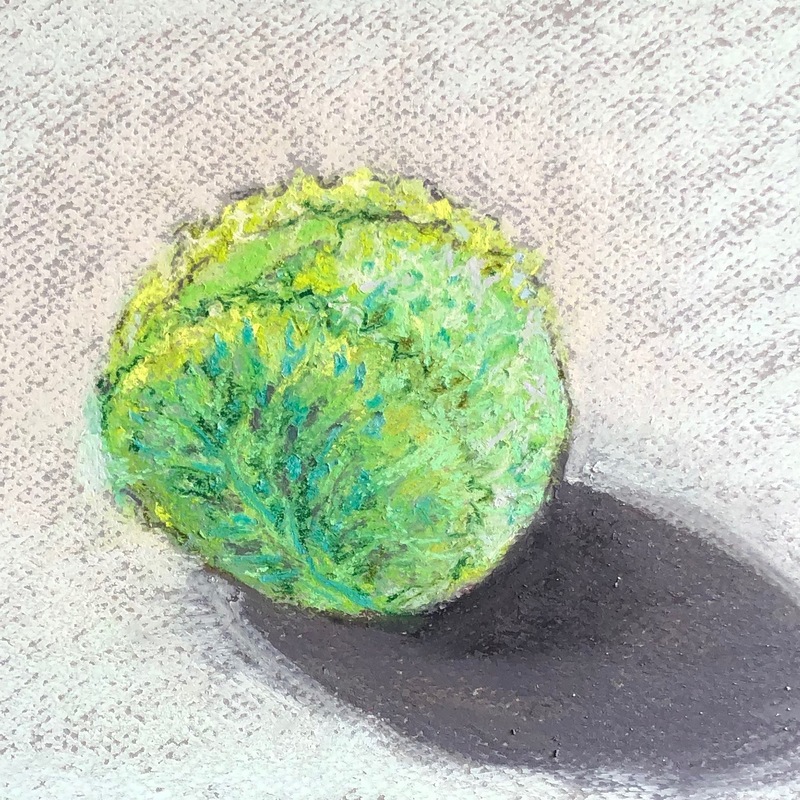 Here is one of my prettiest wrinkled and curly cabbages in pastel. Since it’s sketch you cannot enjoy the full pleasure unless you see one in actuality. It almost leapt off the organic farmer’s stand! Since I’ve chosen to eat plants and draw them, here is a thought that it would be good as coleslaw! 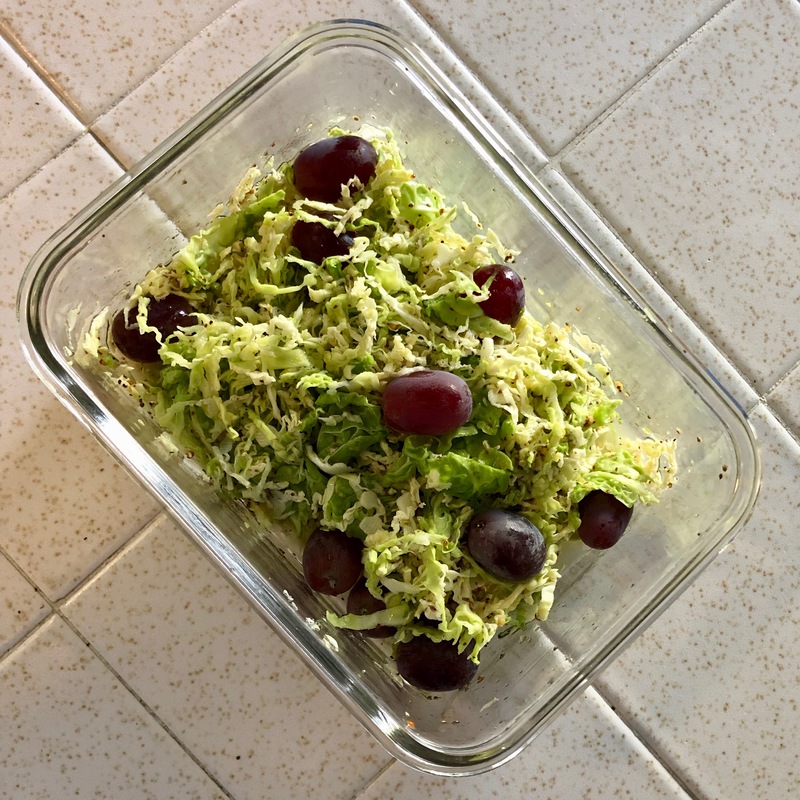 My coleslaw is ready for a bit of plant yogurt and grated carrots, and I found some grapes on my counter that would compliment the slaw. Now, I’m off to get the soy or cashew yogurt to mix in with the rice vinegar, dijon mustard and celery seeds. 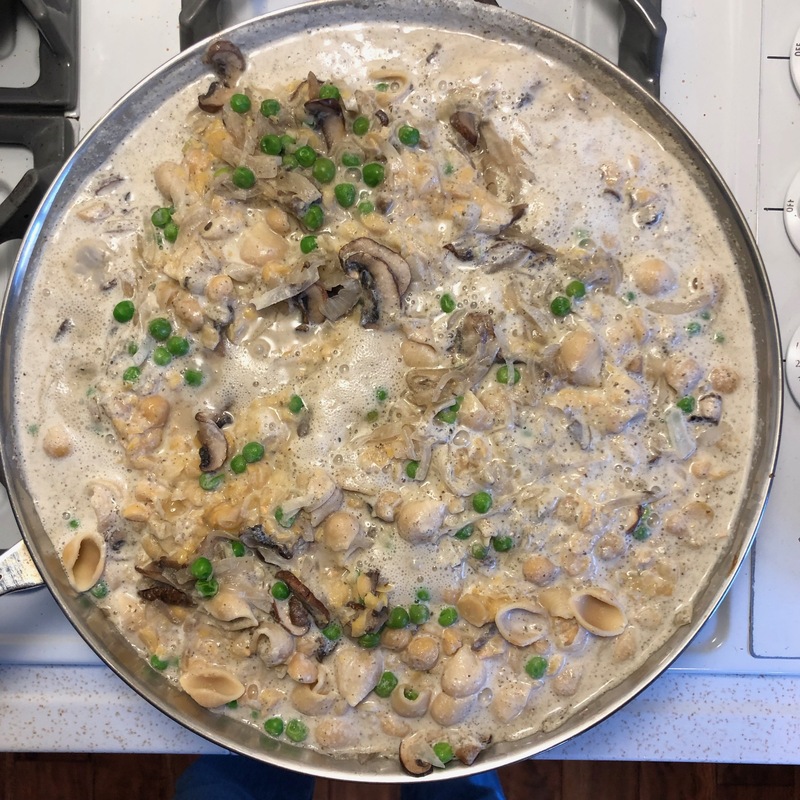 I consider myself a creative cook who frequently alters recipes on a whim. For those of you who started following me for my art, I hope you’ll enjoy the beauty of art and good health. When it looks this attractive, it will feel good too. I guess I just love to eat beautiful vegetables. What could be next? Because I have spent many years learning about health and nutrition, I have learned to keep an open mind. There is so much new well-researched information showing up, it is hard to know where to take you first. When a person says, “I eat a good diet.” I really don’t know what they eat unless I am joining then for a meal. Many people think they have a good diet, but it is often based on old information from years ago and biased by the meat, dairy and egg lobbies. There is a lack of fiber and lack of nutrients which we find in fruits and vegetables. We can talk about meat, dairy and eggs later. If you are curious now, make sure you check to see who wrote a report backing up a statement. My mother always thought that she was serving a good meal, but she didn’t have the information that we have now. She had the “good” information that was available when I was a little girl in the 1940s and 50s! Things have changed! 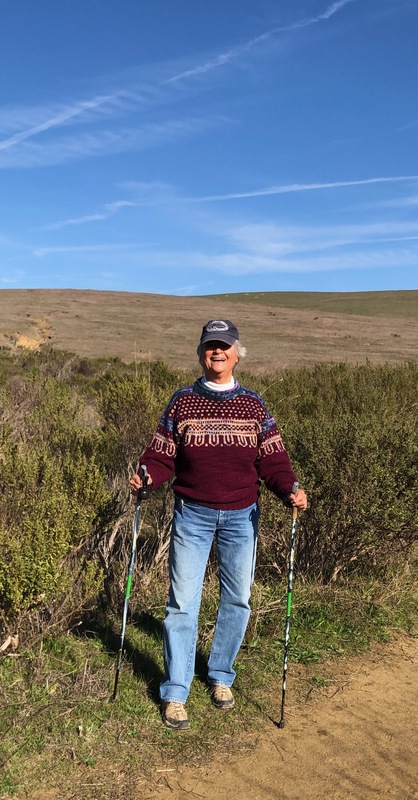 I saw the way my mother and father suffered at the end of their lives due to consuming what was then considered a “healthy diet.” She always tried to do her best, but the food lobbies were altering information that she received. 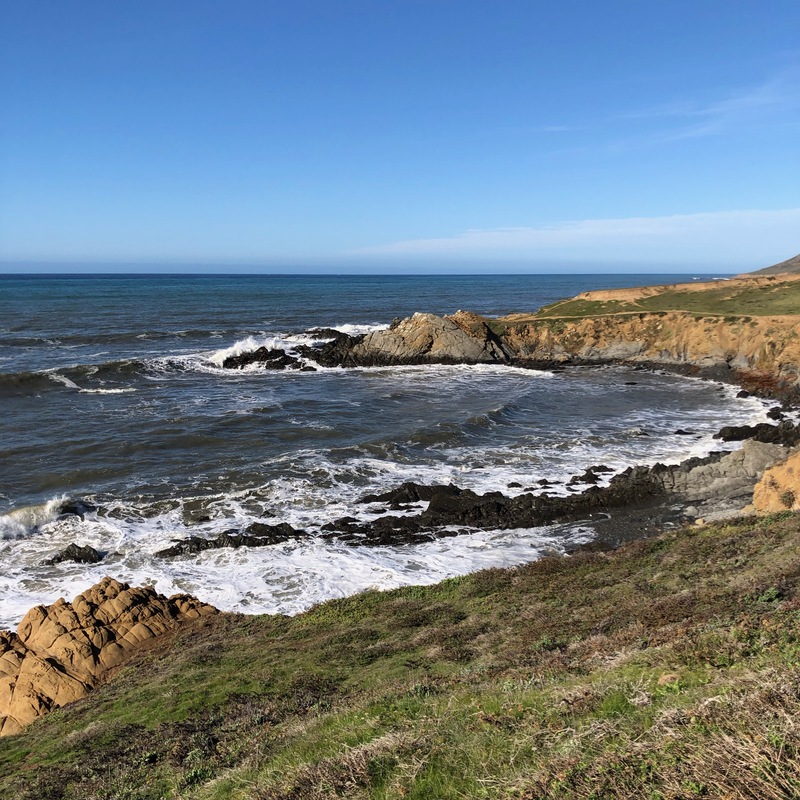 I decided to change my lifestyle and what I ate when I became older after attending a three day Advanced Nutrition Weekend with Dr. John McDougall several years ago. Actually, I have attended a few of them. It is never too late! I must remind you that I daily listen to a new podcast, read a new article or try another recipe. Monday I went to the Farmers’ Market in Baywood to replenish my store of veggies. 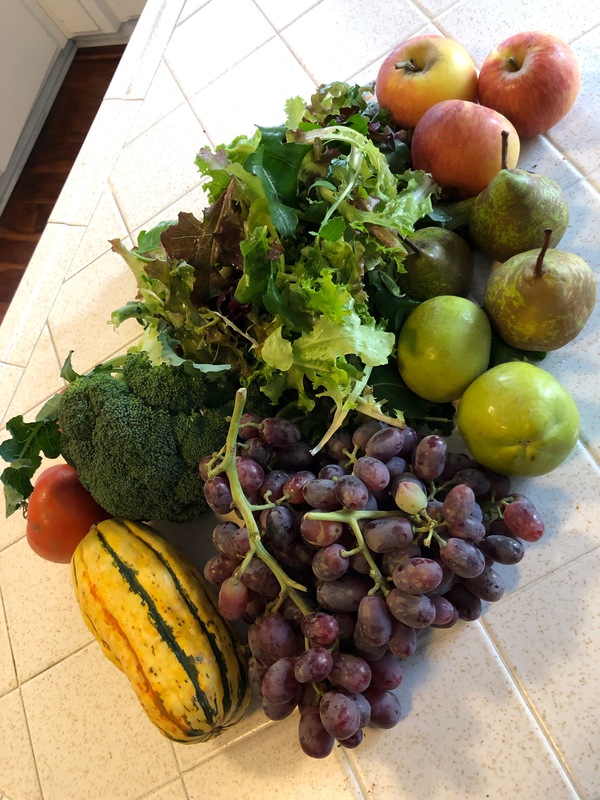 Here is what I found… a tomato, broccoli, a Delicata squash, grapes, white sapote, Winter Nellis pears, mixed greens, apples. With all these on my counter, they make easy snacks or a simple dinner. I cut the Delicata squash in half, scooped out the seeds, put it upside down on a dinner plate and microwaved it for 5 minutes. Easy and delicious just plain… for my lunch with some broccoli. It is easier than an acorn squash and sweeter. 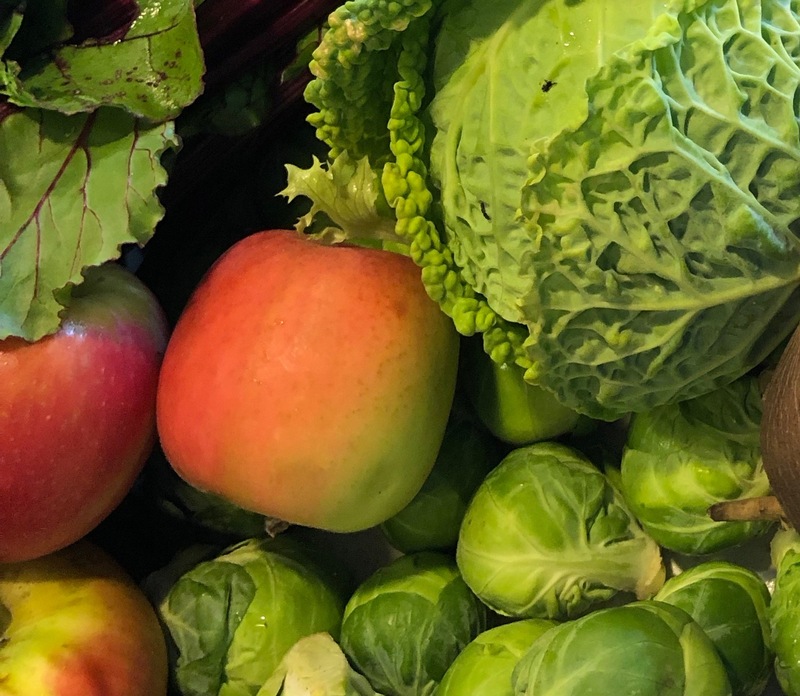 You may have noticed that I have expanded my art website to include my path into eating healthfully so that I might avoid the diseases of aging. Do not fear. You may still be able to view my artwork and see what has fascinated me ever since I watched the movie “Forks Over Knives.” That was in 2011 and I’ve been curious about whatever I came across. For a review, I watched it again! So good! 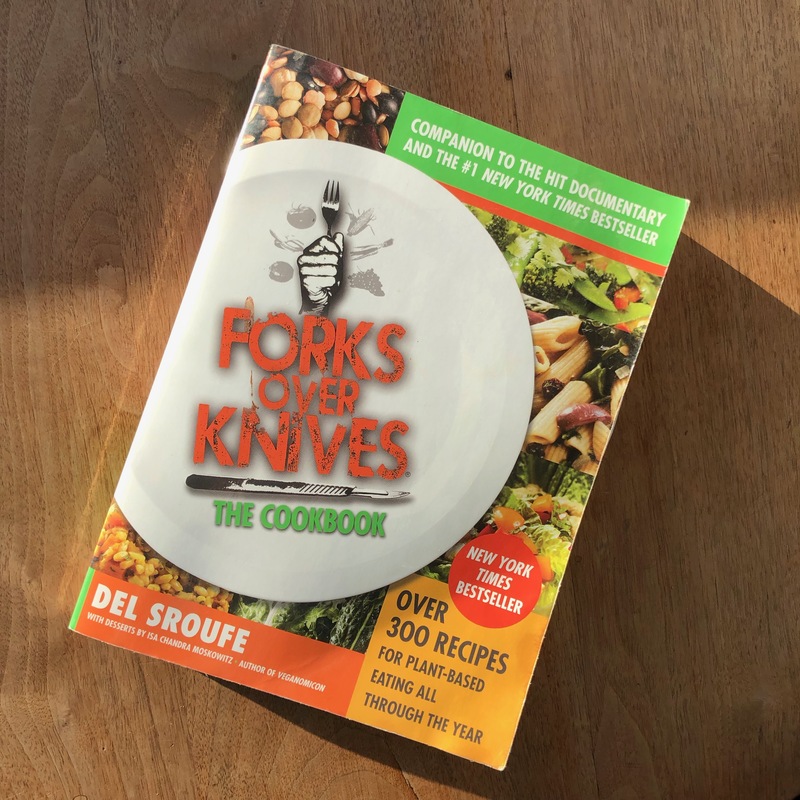 I plan to make a page with Cookbooks so you may join me in being what I call being “a creative cook.” My first one was the one created after the movie was out. 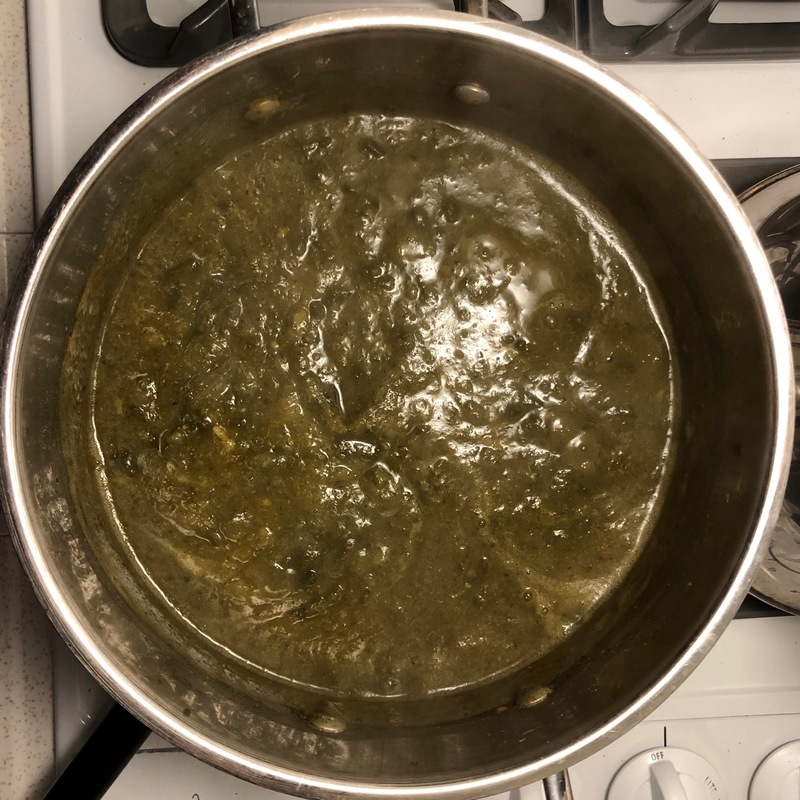 It gave me a boost into what I saw as familiar, but showed me the techniques needed to avoid fats, oils and sugars along with the meats and dairy. I love a good challenge! It covers the basics, breakfasts, granola, hot cereal, grain salads, bean salads, hearty salads soups, stews, chilies, wraps and spreads, pastas, noodles, stir-fried, grilled and hashed vegetables, bean dishes, grain dishes, casseroles and desserts. Are you hungry yet? Now that I typed up this list, I see that I could try some of the recipés that are new to me.